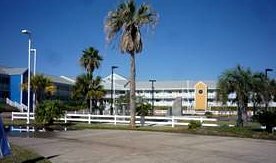 Inn At The Waterpark Galveston is the cheapest of all Galveston Texas hotels close to the Moody Gardens. The hotel is reasonably moderate as compared to its magnificent neighbor the Moody Gardens hotel down the road. The location is great for family fun. Most visitors prefer this hotel because it is sandwiched between the Moody Gardens Galveston Tx. and the Schlitterbahn waterpark center. 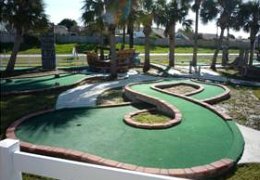 The garden and the amusement park are just a few minutes walk from the Inn At The Waterpark Galveston hotel. The Lone Star Flight Museum is also within a walking distance form the hotel. It's amazing to see all kinds of planes dating back to the 2nd world war there. The vicinity is full of activities. The Colonial paddle wheel boat tour is also an exciting activity close to the hotel. The Scholes International Airport near the hotel does not have much flight activity, so it is basically quiet at the hotel. The front side of the hotel has the miniature adventure golf course which provides extra fun to families on vacation. 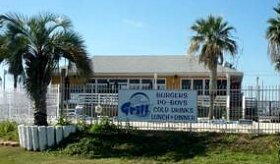 The 81st Grill restaurant attached to the hotel serves burgers, po-boys, lunch and dinner. Other nearby restaurants are Shearn's seafood restaurant and Terrace restaurant. The seawall is 15 minutes drive from the Inn At The Waterpark Galveston hotel. Other major attractions are not too far away. For family vacations, this is the best place to come. For vacation and cruises, the Galveston port is just about 6 miles away.